A virtual tour of some historic points of interest in Berks County. In 1822, five bridges across the Madiencreek River washed away during a flood. The present day DREIBELBIS BRIDGE was built in 1869. Length: 124, Width: 16.
and you can cross it to go to Dunkel's Church which we will visit shortly. 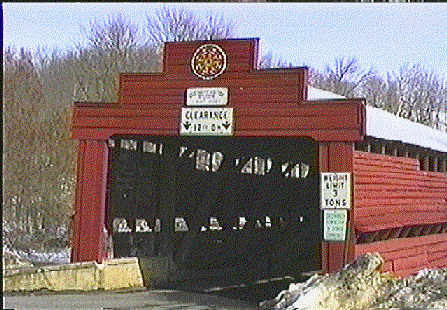 Located along the Tulpehocken Creek in Berks County, the mill was constructed by David Gring in 1811. The house was built in 1831. 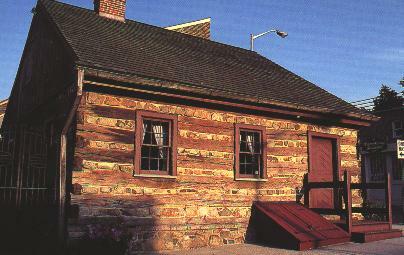 Named after the town's first female settler, the oldest standing building in Reading, Pa was built around 1750. It reopened as a restaurant in 1998. It is located at 4th & Cherry Streets. We hope that you enjoy our virtual tour of Berks County, and that you come in person some time soon. You are our visitor since 18 Nov 1997.